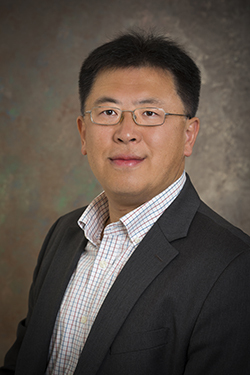 Professor Xie joined the University of Delaware in August 2015. Prior to coming to UD, he was the Wells Fargo Professor, associate professor of finance at Clemson University, South Carolina, from August 2012 to July 2015. Previously, he was a tenured professor at George Mason University in Fairfax, VA. He currently teaches an undergraduate-level intermediate financial management course. His research interests are in empirical corporate finance. Within this general field, his work spans corporate governance, mergers and acquisitions, boards of directors, executive compensation, corporate financing, venture capital, behavioral finance and corporate disclosure. His research has appeared in multiple top academic journals and received significant recognition and citations. Corporate Governance and Acquirer Returns, with Ronald W. Masulis and Cong Wang, 2007, Journal of Finance 62, 1851-1889. Corporate Governance Transfer and Synergistic Gains from Mergers and Acquisitions, with Cong Wang, 2009, Review of Financial Studies22, 829-858. Agency Problems at Dual-Class Companies, with Ronald W. Masulis and Cong Wang, 2009, Journal of Finance 64, 1697-2727. Globalizing the Boardroom – The Effects of Foreign Directors on Corporate Governance and Firm Performance, with Ronald Masulis and Cong Wang, 2012, Journal of Accounting and Economics 53, 527-554. When Firms Talk, Do Investors Listen? The Role of Trust in Stock Market Reactions to Corporate Earnings Announcements, with Mikhail Pevzner and Xiangang Xin, 2015, Journal of Financial Economics 117, 190-223. Industry Expertise of Independent Directors and Board Monitoring, with Cong Wang and Min Zhu, 2015, Journal of Financial and Quantitative Analysis 50, 929-962. Are All Analysts Created Equal? Industry Expertise and Monitoring Effectiveness of Financial Analysts, with Dan Bradley, Sinan Gokkaya, and Xi Liu, 2017, Journal of Accounting and Economics 63, 179-206. Analyst Career Concerns, Effort Allocation, and Firms’ Information Environment, with Jarrad Harford, Feng Jiang and Rong Wang, 2018, Review of Financial Studies forthcoming. Foreign Institutional Investors and Corporate Voluntary Disclosure around the World, with Albert Tsang and Xiangang Xin, 2018, conditionally accepted, The Accounting Review. Worker-Manager Alliances and Shareholder Returns from Acquisitions, with Ronald Masulis and Cong Wang, 2018, Journal of Financial and Quantitative Analysis forthcoming.